Comes with Chrome Housing Euro Style Headlight + Clear Corner Lights! 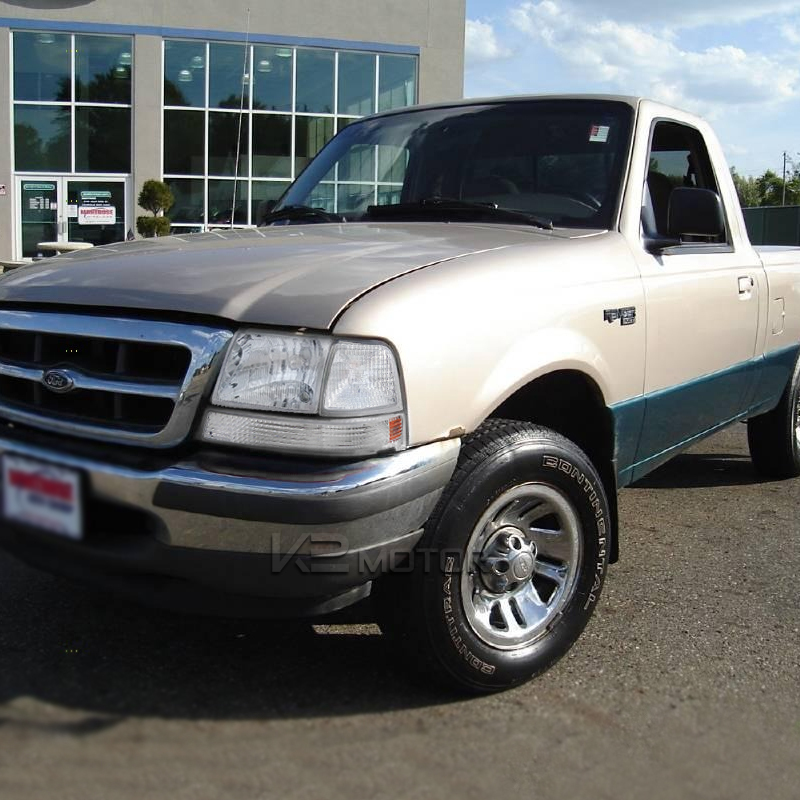 Find the Ford Ranger Euro Headlights you are looking for at K2 Motor. All Euro Headlights Purchases include free Shipping within the US. Brand New 98-00 Ford Ranger Euro Headlights + Corner Lights! Redesign your 98-00 Ford Ranger with these stylish euro headlights + corner lights combo. If you have been looking for a way to give your Ford Ranger a custom look, this is exactly what you have been looking for. Made with a sleek yet subtle design, these lights are just as bright as any OEM headlight. Easy to install and made specifically for your 098-00 Ford Ranger, this set of lights are a direct replacement for your OEM Ranger headlights set.